We got our order today and it is just spectacular! Thank you so much we are very pleased with the item and the service you provided. 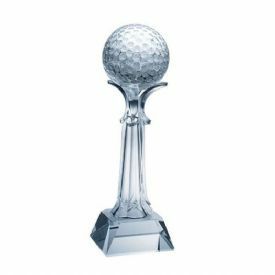 Product Description: This optical crystal golf award is beautiful, standing 14" high with a 4" golf ball at the top. 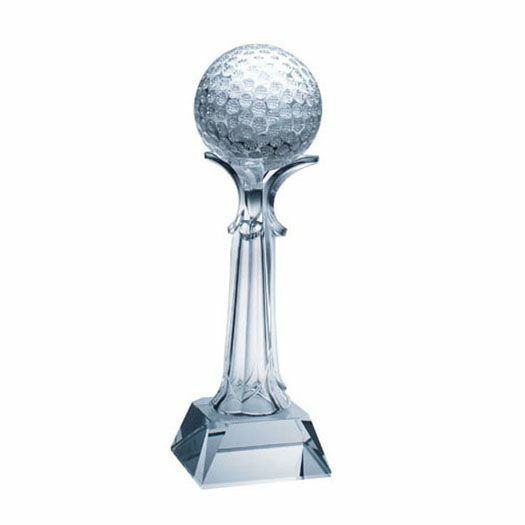 Engraving your corporate logo and text will display well on thiscrystal golfaward. Packaging: Foamed gift box included.